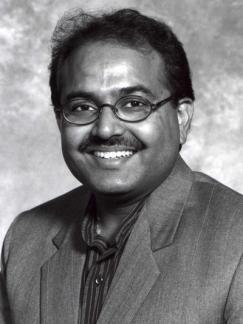 Professor Jaideep Srivastava earned his Ph.D. in Electrical Engineering and Computer Science from the University of California - Berkeley. As a researcher, educator, consultant, and invited speaker in the areas of data mining, databases, artificial intelligence, and multimedia for over 16 years, Dr. Srivastava continues his active collaboration with the technology industry, both for research and technology transfer. He has supervised 22 Ph.D. dissertations and 40 MS theses, and has authored/co-authored over 170 papers in journals and conferences. He has chaired/co-chaired a number of conferences, and is on the editorial board of many journals. An often-invited participant in technical and technology strategy forums, Dr. Srivastava is an oft-invited speaker at industry, academic and government meetings. He has been involved in the organization of a number of conferences, and serves on the editorial board of various journals. The US federal government has solicited his opinion on computer science research as an expert witness. He also served in an advisory role to the Government of India on various software technologies. Between 1999 and 2001 he took a two-year leave, during which he spent time at Amazon.com and at Yodlee Inc. Dr. Srivastava has been elected an IEEE Fellow for his contributions to Computer Science research, and has been appointed a Distinguished Visitor by the IEEE Computer Society. My research interests are in Data Mining, Web Mining and Link Analysis. My primary research work is on Link Analysis techniques pertaining to Web Mining research. More particularly, I have developed new ranking measures and am interested in efficient techniques to compute them. 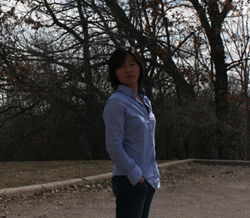 I also worked as a part of the MINDS intrusion detection system team at the University of Minnesota to develop techniques for detection of machines sending e-mail spam. I am also actively working on novel approaches to database modeling and improving their performance. In many supervised learning applications like network intrusion detection, researchers are faced with the problem of inability of determine the number of false negatives estimated by classifiers. This project involves developing new techniques for estimating of false negatives predicted by models for such rare-class, skewed distribution datasets. Muhammad Aurangzeb Ahmad is a PhD student in the Computer Science and Engineering Department at University of Minnesota - Twin Cities. 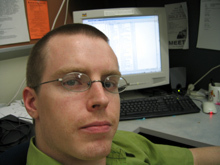 Before joining DMR Research, he was a Research Assistant at the Minnesota Population Center. He graduated with honors from the Rochester Institute of Technology in the Bachelors of Science degree in Computer Science in 2006. His main interest is in Social Network Analysis, graph mining and graphical models. He is currently working on a set of related problems in social networks: query scents in social network, trust and ranking in social networks, topic constrained expert identification in social networks. My research interests include web usage mining, recommender systems, and textual pattern analysis. Currently, I am working on a prototype recommender engine for CLA Student Services. The engine will incorporate both web usage data as well as expert-designated content clusters, helping students find the content they need if they aren't sure where to look or which questions they should ask. My major research interest is data management/analysis, including database system and data mining techniques. Now, I am working on database support for data mining applications and social network analyses. I am looking at the player churn problem in virtual worlds and trying to relate social influence and network characteristics with churn. Overall my area of interests are social network analysis, web mining and search. Project associations: SONY Virtual World project. Inferring player and task rating and ranking from performance data.